. Published on December 30, 2014 . If you’re a coach (or want to be a coach) and want a fancy coach profile like mine, then make sure to reserve your coaching URL. A superficial benefit to the name change is that it removes some confusion around the name Lift. Multiple companies have adopted this name (because it’s a great name!). We get support email for three of these other Lifts, including a guy who bought a Slow Carb Diet coach in order to ask for a ride from Scottsdale (proof that people don’t read your copy). But that’s just a superficial reason to change our name. The deeper reason is that we are a different company than we were when we started. We’ve kept our original mission, to help you become super human, but we’ve pivoted wildly from our initial product idea. The name, Coach.me, reflects that pivot. Coach.me isn’t even our first name change. When I started coding, I called the project Lifepoints. Then, for almost a year, I called it Mibbles (just a goofy name for points). Then we were Lift. And now we are Coach.me. Those name changes track the product pivots. Our initial concept was to build an all powerful motivational robot that doled out points. That didn’t work very well. Launching a product and getting feedback reveals truths that you can’t see beforehand (or at least, I couldn’t see them). Now that we’ve been public for awhile, it’s blatantly obvious that the power of the app comes from the community. So, along with renaming ourselves to Coach.me, we’ve pivoted into a very broad definition of coaching. The name change is fast-following our prior product changes. Coach.me is a coaching platform and all of you are the coaches. You start by giving props, then by answering questions, and then (if you want), you can mentor other people as their personal coach. We’ve added more powerful profiles for coaches that can list all of the goals that they recommend. Eventually we see the Coach.me platform hosting all of the online coaching services that a coach might offer: personal coaching, personal consultations, training plans (the coaching equivalent of a class), and even books. 1. Choose a goal. In fact, choose as many as you want. 2. 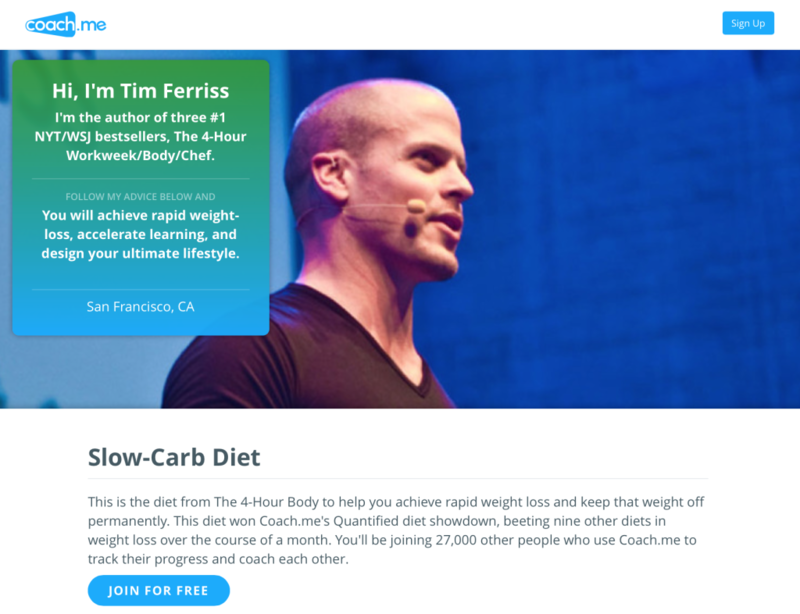 Setup free or paid coaching in the form of props, reminders, Q&A, and/or a personal coach. 3. Track your progress while we coach you. Does change make you sad? I’m a nostalgic person, even though all I do is work on personal change. I loved the name Lift and I’m sad to retire it. The old Lift logo was a work of art. The logo designers, Pacific Helm, are logo masters responsible for many famous icons, including iTunes and Square. For posterity, here are Pacific Helm’s first and second rounds of mockups for the Lift logo. Lift’s abstract elevator button looked good everywhere: in the app store in both flat and 3D versions, on shirts, and even on Yoga mats. One of my favorite team photos is of Herzog, a sub 3:00 marathoner, cruising around San Francisco’s Polo Fields at six minute mile pace wearing aviators and a Lift running shirt (and shorts). The Lift logo made him look like a professional runner. All of that is just to acknowledge that Lift was a great name. How Do You Pronounce Coach.me? But Coach.me, though! We’re all really excited for this name. Several members of the team screamed (good screams) when I told them that I was able to buy it. We’re pronouncing it Coach Dot Me, spelling it Coach.me (big C, little m), and using CoachDotMe as our username on sites like Twitter (follow us on Twitter). I’m sure there will be some hiccups as we change the name. It’s really hard to make this happen instantaneously across our site, the app store, and tons of third party apps. That’s the story of our new name. Hit us up on Twitter if you have questions. We’re @CoachDotMe. To 2015! Let’s make this the best year ever!